This easy-to-use kit contains all components you need to install a Venmar EA1500 / PRO 200 in the attic. 1 Ring for transition duct 6“ dia. 2 x 13’ Insulated flexible duct 4“ dia. 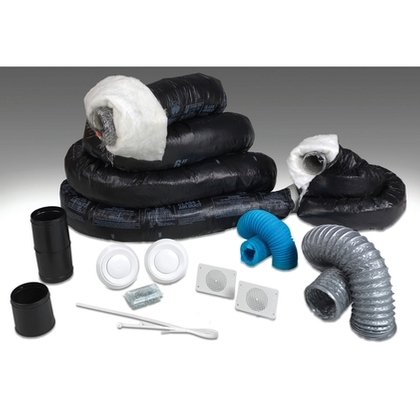 1 x 30’ Insulated flexible duct 6“ dia. 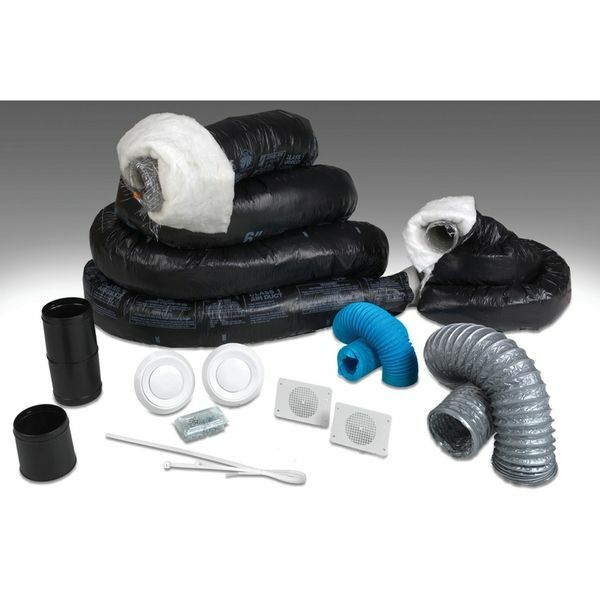 1 x 10’ Non-insulated flexible duct 6“ dia. 2 Whisper grilles 6“ dia.